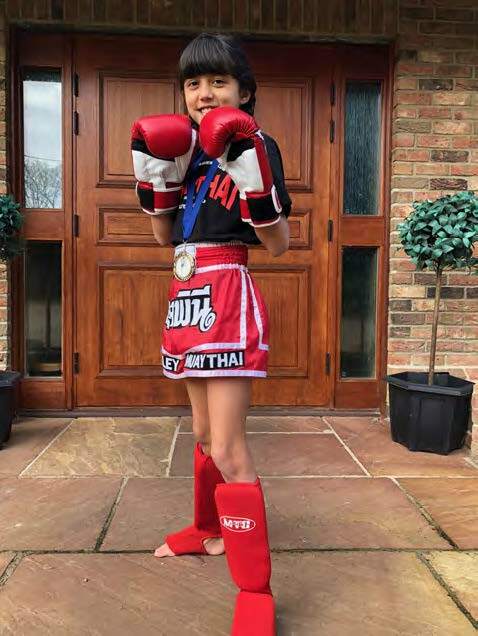 Rachel received her medal in a Muay Thai interclub competition. 8 years old Rachel fought an 11 year old girl in a competition with other top Thai Boxing clubs from around the country. It was full contact in the boxing ring but, no elbow strikes or strikes to the head.